Utriusque cosmi historia', 1517-19. 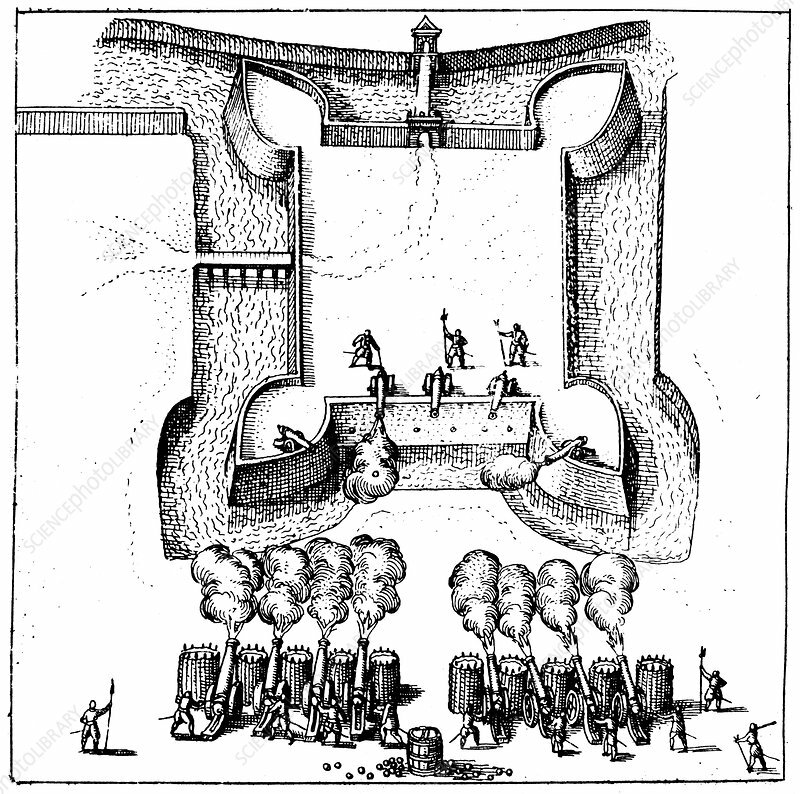 Gunners laying siege to moated and fortified enclosure. Attackers are using earth-filled Gabions to protect their guns and themselves. Artist: Robert Fludd.